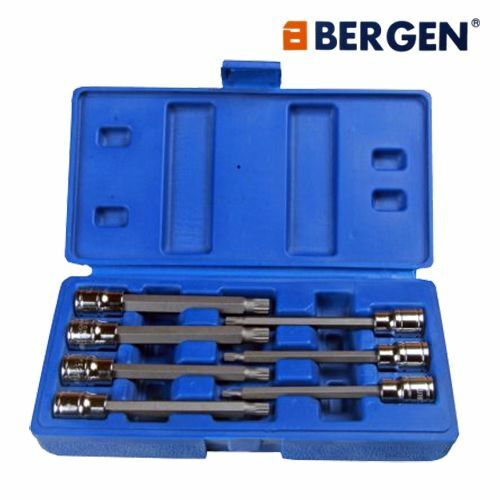 This spline bit set from Bergen Tools is manufactured from Chrome Vanadium - providing strength and durability for prolonged use. The bits are 110mm long overall - bit length is approximately 80mm, allowing easy long reach work. All bits have a mirror finish allowing for easy cleaning after use. The set is contained within a robust snap shut blow moulded plastic case, making the storage of the sockets easy.